Early morning in Monument Valley and a perfectly still lake provides a mirror to the sandstone monoliths. I loved the wisteria in bloom cascading down towards the canal in this shot I took last year. This year, I returned and, unfortunately, the wisteria was not in bloom. I was glad to have caught it when I did. I took this around 7am as the sun was just hitting the Doges Palace. I liked the colours reflected in the water. Even at this time of the morning, I had to wait to get the best location on the bridge to get the shot. I also managed to get the waste refuse barge in, rather than a more romantic gondola! We had a lovely few days in Venice last week. The weather was warm, the city beautiful, and the skies lovely colours. I met with my good friend for coffee and chats about her business, and we got to spend some fun time with my mum and aunt. There should be some other shots coming, but for now here is a sunset image taken from a restaurant in Arsenale looking towards Salute and the Grand Canal. 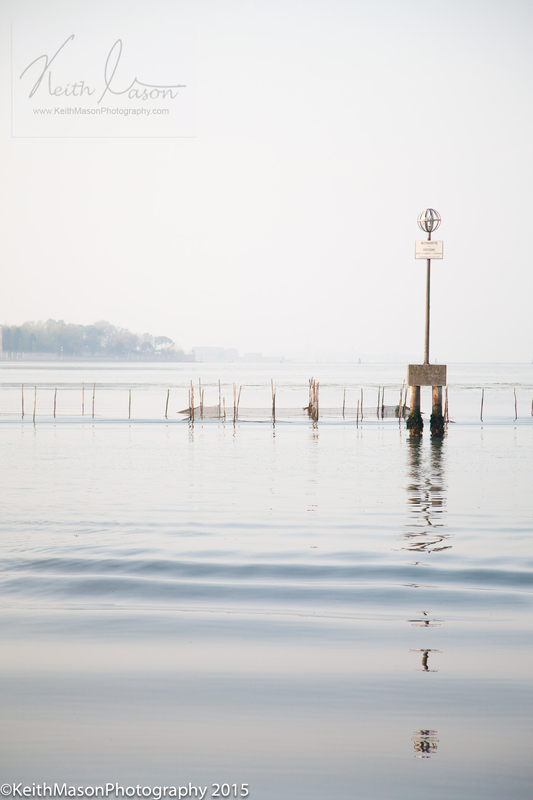 Peace and solitude on the Venetian lagoon.